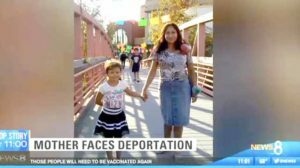 A single mother of three who says immigration authorities told her that if she checked in with them every year she could stay in the country was scheduled for deportation Thursday. The case of Silvia Ocampo has prompted state and city officials to rally in her defense, including state Assemblywoman Lorena Gonzalez-Fletcher, Councilwoman Georgette Gomez and Councilman Chris Ward. But Ocampo was still slated for deportation Thursday, according to Brigette Browning, president of United Here Local 30, a union representing San Diego County Hotel and Food Service Workers. Ocampo worked as a housekeeper in San Diego and had been in the U.S. for 24 years. 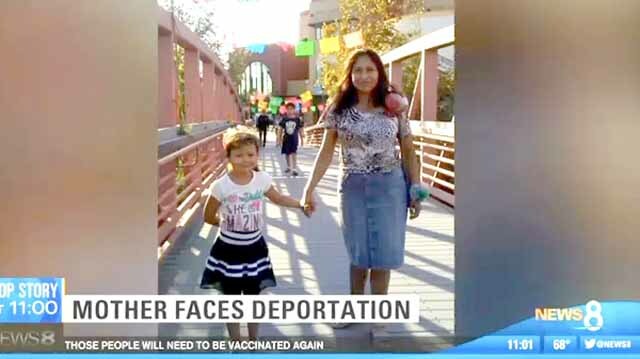 She was detained last week after her annual check-in meeting with immigration authorities. According to Browning, Ocampo was charged with perjury relating to an attempt to renew her driver’s license in 2009, when the law that allows undocumented immigrants to get driver’s license was still not in effect. Browning said Ocampo’s attorney filed a motion to keep her in the detention center until she could have a hearing to remove the felony from her record, which was scheduled for Friday, but it did not work. “The cruelty driving the Trump Administration is on stark display today as we’re again called to defend the basic dignity of those who make our community stronger,” Ward said. As Ocampo faces deportation, the support her three children will receive remains unclear. Two of her children are minors, one of whom is an 8-year-old with a disability.